We have gone through a few Garage 13 cars now. All of which had decent power figures. 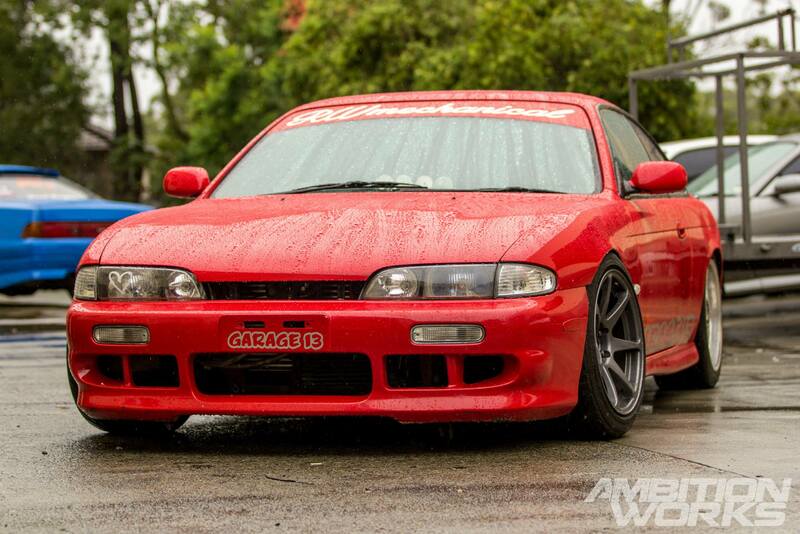 But now, we stand next to the monster from Garage 13, the 480HP Nissan Silvia S14. That’s a sweet number to be able to control with your hands and feet. It’s hard to stand out in a crowd full of individuals, especially now more than ever in today’s society. 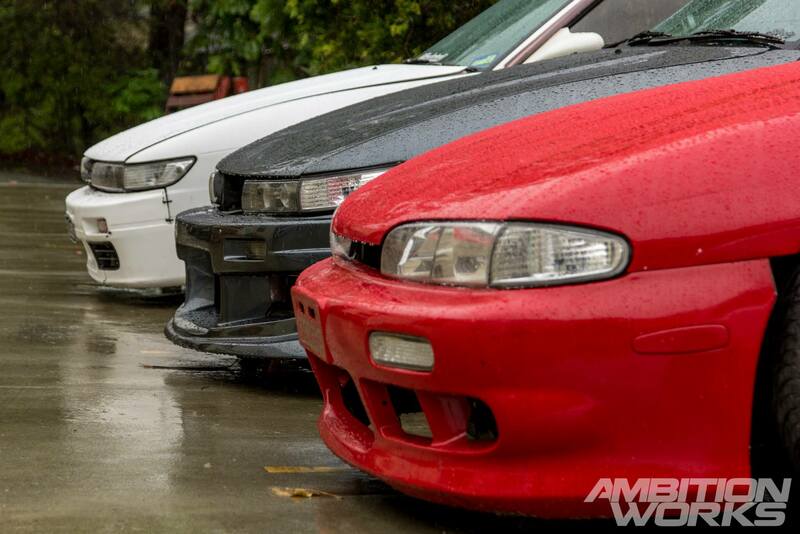 Although these three cars have their own personality, how do you make them standout when surrounded by thousands of modified cars around Australia? Well… Let’s start off with what’s hidden under the hood. A healthy dose of Skyline with the RB25DET being bolted in. Sitting inside the engine are 272 cams, autronic sm4 and 1000cc injectors connected up to a big Tdo6 20g turbo charger. 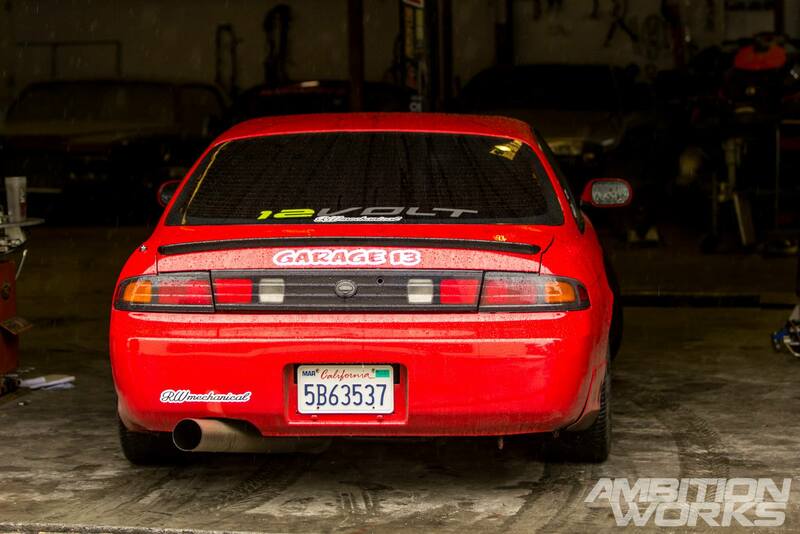 By far one of the nicest sounding cars from Garage 13. It has a Steam Pipe manifold running into a 4” stainless steel exhaust all the way past the rear bumper. Just looking at the exhaust you can tell this machine is meant to sound good while doing business. 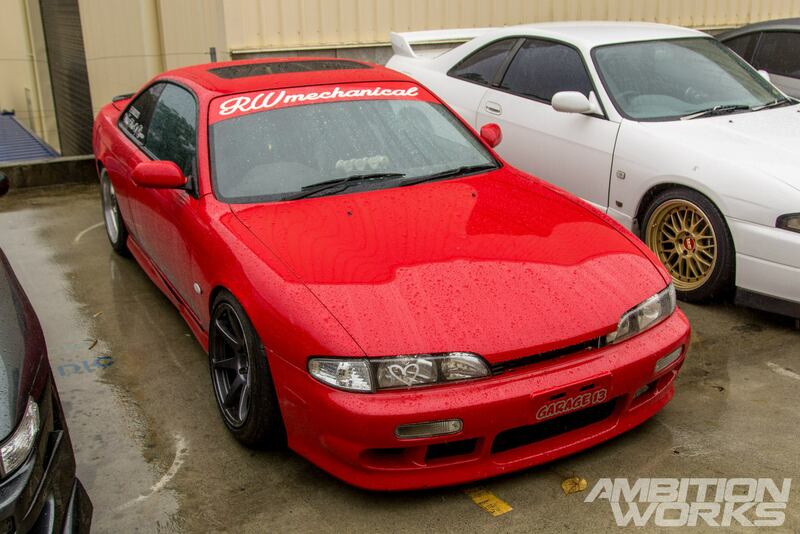 I’ve always liked pre-face lifted S14s, maybe because I own one, or because they just look so innocent. This example isn’t overdone, it has a rather practical look compared to the crazy amount of power it pushes out. 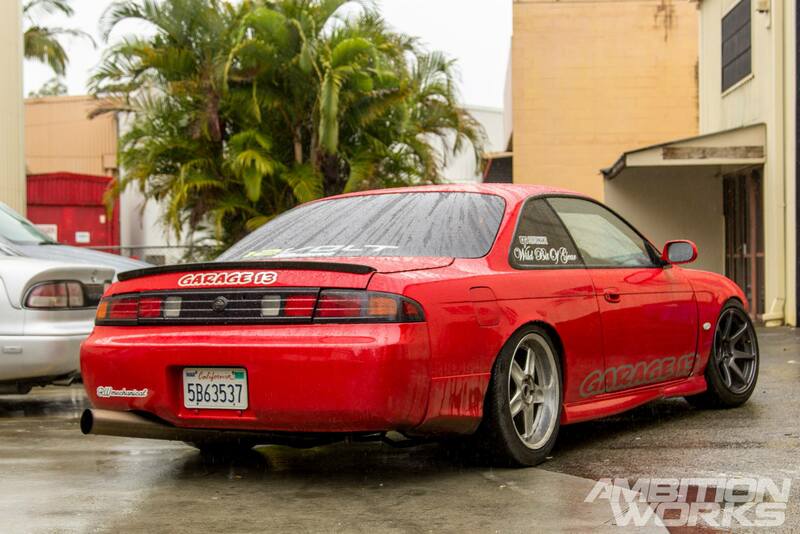 Full factory aero minus the aftermarket side skirts and boot lip. Whenever I’m having a little nosey at a car it’s always the little things that make me look twice. 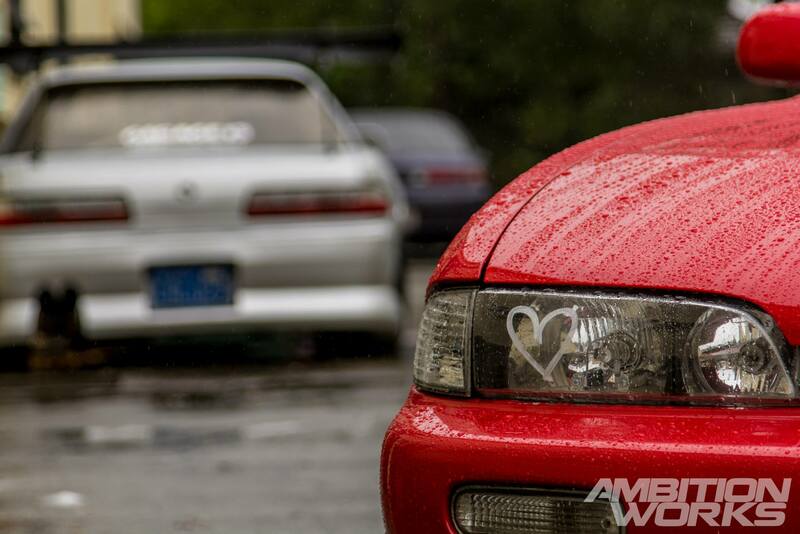 I love the little heart marked onto the headlight covers. The interior however is the main place where you can show off your character. Sporting a cusco cage, bride seats, and omp steering wheel and pbm shifter. All of the yeses and none of the noes. 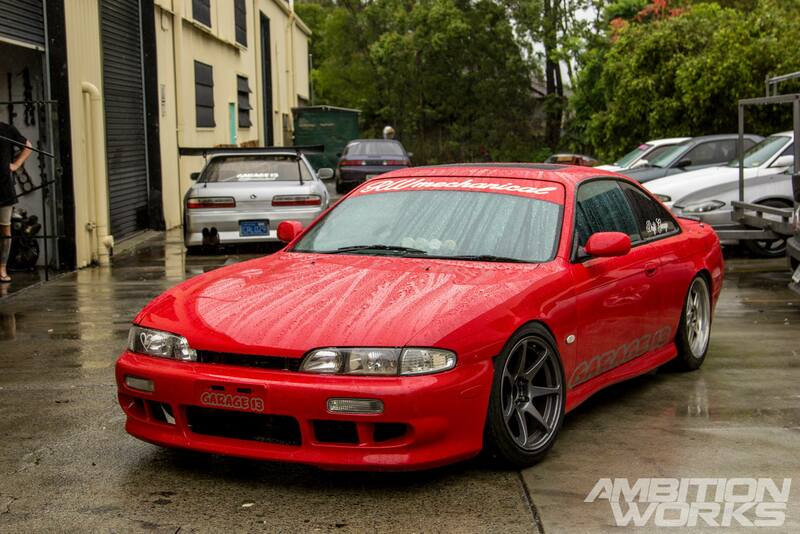 The S14 modestly sits on a set of HKS coilovers with adjustable arms all round. A 5 stud conversion has also taken place along this cars life timeline, suggesting it was either a really early model turbo S14 or a nice under powered non turbo S14. Sitting up against the engine is the nice, big and strong RB25DET gearbox. Hopefully this can withstand the abuse 480HP will give. Spinning the wheel axles is a cusco 2 way differential. None of this one wheeler peeler business or bouncing around every corner with the backyard locker. After the little shoot it was time to get it back into its snug little spot. With millimeter gaps between the cars you can understand how they can fit so many cars in that garage. So now that you have seen one of the power hungry cars produced by Garage 13, what’s next? Well we didn’t leave the worst for last that’s for sure. Stay tuned to get a little story about the main man behind Garage 13 and his Nissan Odvia.